Mirzayev Yusif Ali oghlu was born on May 23 1958 in Boyukduz province of Babek region. He completed the secondary school 1 in 1975. He studied at the Azerbaijan Institute of the National Economy named after D.Bunyadzade (current UNEC). He joined the People’s Movement in 1988s. In 1991 he went to frontline voluntarily and fought valiantly. He participated in all operations together with his team of 14 fighters; had exclusive services in setting free 17 provinces of Aghdere. He resealed the whole division without losses in one of the battles. Mirzayev Yusif Ali oghlu was awarded the title of “The National Hero of Azerbaijan” after the death by the Presidential Decree 495 of the Republic of Azerbaijan signed on March 27 1993. He was married, got a child. Jabrayilov Nazim Ibrahim oghlu was born on March 2 1949 in Aghdam. He graduated from the Faculty of “Economy of Trade” of Azerbaijan Institute of National Economy (current UNEC) in 1970. He was sent to work in Ashgabat of Turkmenistan. He worked in the DIA of Ashgabat. He got the second degree from the Kaliningrad Police School. He returned to Motherland after a while and started to work as a military engineer in the military vehicle group 2711. 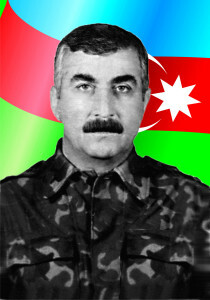 Naim Jabrayilov always was one of the first defenders of the country on the frontline from the beginning of the Armenian aggression against Azerbaijan in 1988. Senior Lieutenant N.Jabrayilov who is actively involved in the battles for Garabagh was appointed platoon commander by the Minister of Defense. He was presented to the early rank of captain on April 13 1994 for the great courage and bravery demonstrated by. He was killed on April 18 1994. Nazim Jabrayilov was awarded the highest award of the country- “Azerbaijan Flag” Order after his death. Abilhasanov Ilgar Yusif oghlu was born on August 19 1967 in Baku. 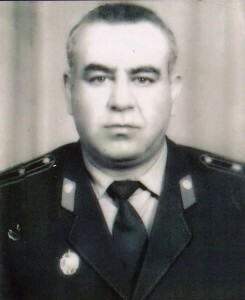 After completing his military service he was enrolled to the Institute of National Economy of Azerbaijan (current UNEC). Ilgar who wished to become a serviceman as his father and brother, moved to the evening department of the institute and started to work for police units. He occupied the post of sergeant at the Yasanal district police department. Ilgar’s shift was nearly to end when the Soviet troops entered Baku on the night from January 19 to 20, 1990. Ilgar Abilhasanov died in the hospital after he was injured approximately at 12. Today Baku city Secondary school 42 of Nasimi district where Ilgar studied was named after him. Safarov Saleh Safar oghlu was born on February 1 1954 in Aghdam. He completed Aghdam city secondary school 1. He was enrolled to the Azerbaijan Institute of National Economy named after D.Bunyadzade (current UNEC) in 1970 and graduated from in 1974. He served in the military service in Ivano-Frankovski city of the Ukraine within 1974- 76. He served as an auditor in the financial department of Aghdam region. 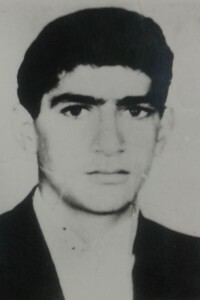 Saleh who entered the part-time department of Aghdam region Technical School of Agriculture in 1977 graduated from in 1980. He was appointed an Inspector General of Aghdam region department of internal affairs in 1983. He was promoted to the rank of captain in 1986 and major in 1990. In 1991 S.Safarov entered the part-time department of the Faculty of Law of Baku State University. In 1992 he started to work for the department of fight against economic crime in 1992. He started to the defense of the Aghdam region and its provinces together with his employees since the beginning of the Armenian-Azerbaijan conflict. 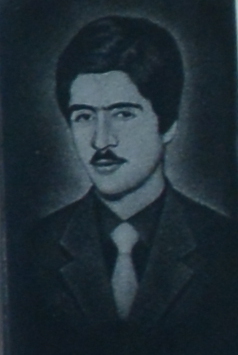 Saleh Safarov was killed on January 15 1993 in the battles in Giyasli province of Aghdam. 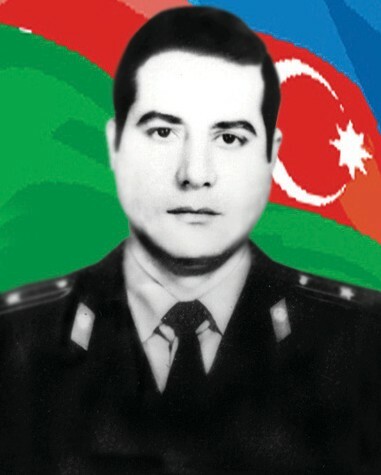 Aliyev Etibar Allahverdi oghlu was born on April 6 1975 in Baku. He studied at the secondary school 162 of Sabail district within 1982-1992. He was enrolled to the evening department of the Azerbaijan Institute of National Economy named after D.Bunyadzade (current UNEC) in 1992. At the same time worked in the railway publish house. 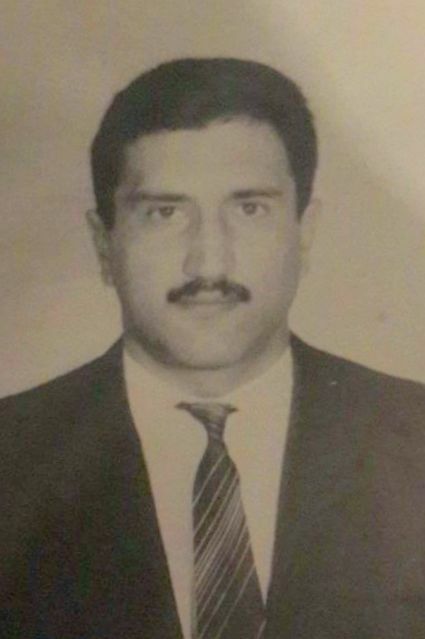 After completing the first course of the institute, he voluntarily joined Azerbaijan National Army in 1993. In May of 1994 Etibar got shrapnel wound on his head during the battles in Gapanli province of Tartar and sent to back. He returned to the frontline after the battles calmed and was captured by the Armenians. He was changed with Armenian captive on June 4, 24 days after being held captive in Shusha. Etibar died on July 10 despite medical interventions in the military hospital in Baku. Etibar Aliyev was buried in the II “Martyrs’ Alley” in Baku. 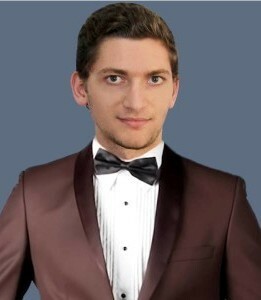 Mammadov Elshan Vagif oghlu was born on July 3 1992 in Bolnisi region of Georgia. He completed the secondary school 115 of Baku city. He was enrolled to UNEC Faculty of Commerce with 459 points in 2010. In 2014 he completed the higher education and went to military service. On September 25 2015 E.Mammadov was killed by the enemy a few minutes after receiving the post in the battlefield of Tartar region. 5 days left for the completion of his service when he was killed. Elshan was buried in Zol Goyec province of Bolnisi region of Georgia. Mahir Sabir oghlu Mirzayev was born on February 17 1994 in Baku. He got the secondary education at school 36 and was enrolled to Azerbaijan State University of Economics with 541 point in 2011. Graduating from the faculty of Economics of UNEC in 2015 he went to serve in the army. Mahir was killed in the April events in Tartar in 2016. Umudov Mahammad Eldar oghlu was born on March 18 1974 in Sumgait city. He started his primary education at school 5 and completed it at school of mathematical bias. Mahir who was the youngest of four brothers also engaged in karate. He represented the both schools in the competitions of karate successfully. Besides being the black belt master, Mahammad attracted the attention with his mathematical skills. He completed the secondary school in 1991 and entered Azerbaijan Institute of the National Economy named after D.Bunyadzade (current UNEC). He studied for only one term. He left his education incomplete and went to the military unit after the Khojali genocide. He heroically died on July 30 1992 in the battles of Kachapet province of Aghdere. The martyr’s corpse was removed from the battlefield on August 9 and buried in the Alley of Martyrs in Sumgait. Bakhish Farriz oghlu Huseynov was born on October in Sharg settlement of Beylagan. Completing the secondary school of the settlement in 1990 he was enrolled to the Faculty of Finance and Economics of Azerbaijan State Institute of Economics (current UNEC). Bakhish distinguished from his group mates with his socialactivities and special talent. But he left his education incomplete when the war satrted in Garabagh and went to the front voluntarily. Bakhish who tool part in the hottest fights held in the height of Aghburun for a year and a half, died heroically on September 23 1993 trying to prevent attacks made by the enemy. 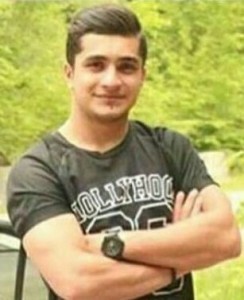 Bakhish Huseynov save the lives of eight warriors with his death. It was able to find Bakhish’s corpse from the battle field two days later. He was buried in the Martyrs’ Alley situated in Beylagan region where he grew up. Rzayev Fuad Mammadali oghlu was born on October 7 1971 in Baku. He finished the secondary school 145 of Nizami district of Baku in 1988. He entered the Azerbaijan Institute of National Economy (current UNEC) the same year and studied in the Faculty of Accounting. In December of 1989, he was called to army. After the military service, on October 1 1992 Fuad Rzayev started to serve in the National Guard of the Republic of Azerbaijan on the basis of the decree of Nizami district Commissariat.He continued his studies part-time and was an active participants of the military operations held for Daghligh Garabagh, namely in the direction of Gubadli. 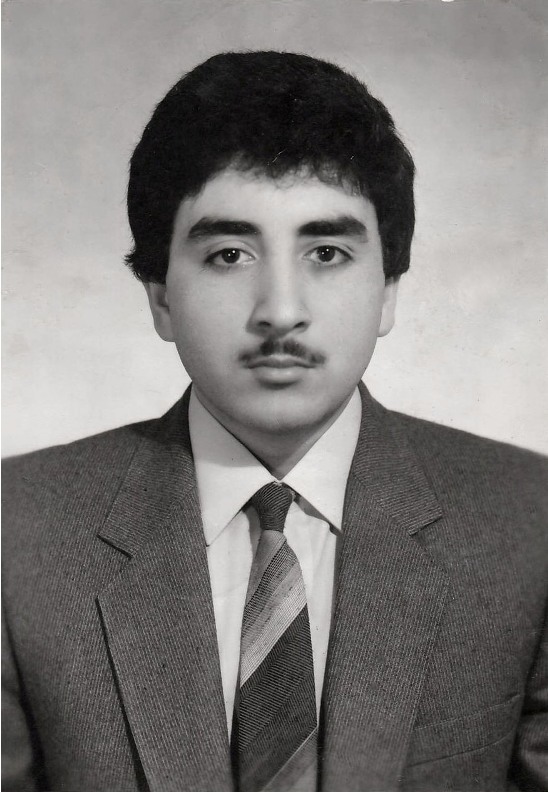 Fuad Rzayev was killed on June 4 1993 within the fights for the protection and improvement of our statehood. He was buried in the “Martyrs’ Alley” of Baku on June 8. 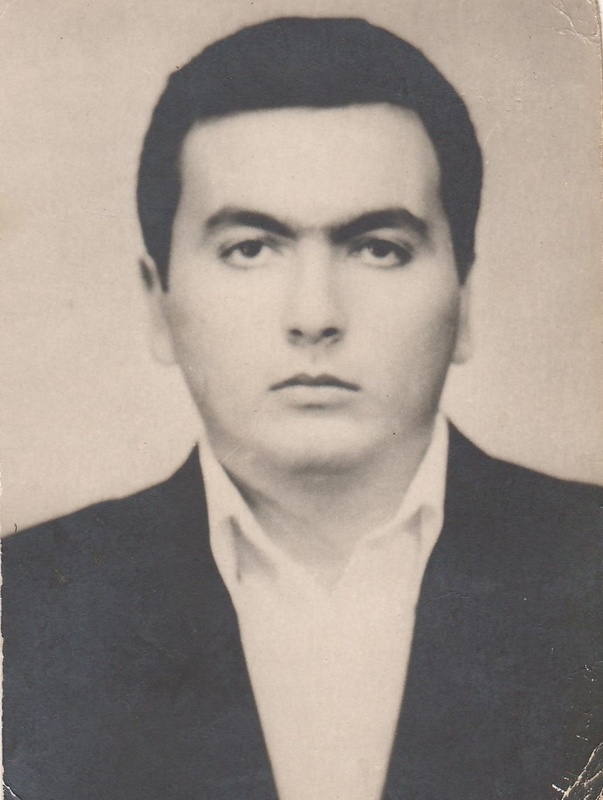 Shukurov Shahlar Avaz oghlu was born on May 17 1952 in Zulfugarli province of Kelbajar. He went to military service after graduating from the Institute of National Economy named after D.Bunyadzade in 1972. After being demobilized from the service he worked in the Department of Internal Affairs of Ujar region. In 1986 he completed the Higher Police Academy of Rostov city. Shalar who were a Deputy Chief of Zardab region has received a rank of major. 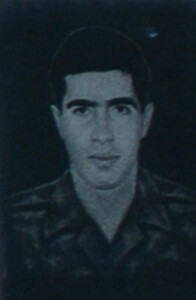 On July 11 1990 he was killed in an unequal battle during the sudden attack by Armenian militants to the convoy moving through Tartar-Kelbajar in the territory of Aghdere. He was married, got two children. Police Major Shukurov Shahlar Avaz oghlu was awarded the title of the National Hero of the Republic of Azerbaijan posthumously by the Presidential Decree 264 of the Republic of Azerbaijan signed on October 8 1992. He was buried in the province Zulfugarli of Kelbajar region. A school and a street situated in Zardab region were named after him. 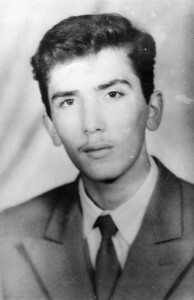 Garatel Shami kizi Hajimahmudova was born in Ashaghi Eskipara province of Gazakg region in 1948. 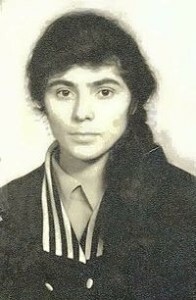 She completed the secondary school in 1962 and entered Baku Technical School of Trade. She worked in Ganja city mall after the graduation until 1970. She was a part- time student of the Faculty of Commodity Research of Azerbaijan Institute of National Economy (current UNEC) within 1970- 1975. She worked as a laboratory assistant in the Oil Exploration Department of the Academy of Sciences in Jeyranchol from 1976 to 1991. Garatel Hajimahmudova was one of the most active members of Azerbaijan National Independence Movement. She joined a voluntary self- defense group consisting of the young people of the village in 1990. She was captured on June 14 1992. G. Hajimahmudova drank poison and shot herself not to be captured alive. Garatel Hajimahmudova’s corpse was returned together with her friends’ bodies on June 26 1992. Garatel Shami kizi Hajimahmudova was awarded the order of “Azerbaijan Flag” in 1994. 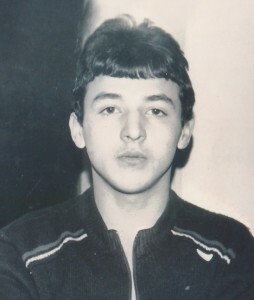 Azizov Habil Kommunar oghlu was born in Vurgun settlement of Agstafa on January 19 1968. He studied at the Institute of National Economy named after D.Bunyadzade (current UNEC). A year after he went to serve in the military service. He completed the service in Riga and returned back to the institute. As he was a part-time student could serve in the state farm. In January of 1990, the third year student Habil came to Baku for the winter exam session. He celebrated birthday with his friends on January 19. Habil was walking in around the city when the Soviet troops entered Baku at night. He was killed by the Soviet tank and became a martyr. Ilgar was buried in the Martyrs’ Alley situated in Aghstafa. His photo is displayed in the Marturs’ Alley in Baku. His secondary school was named after him. Asgerov Ramzi Asger oghlu was born on January 21 1967 in Lachin. He completed the secondary school in Lachin and was enrolled to the Institute of National Economy of Azerbaijan (current UNEC) named after D.Bunyadzade. After the territorial claims of Armenia against Azerbaijan he passed to part-time department and voluntarily went to war. He had been a warrior of Lachin region battalion and an officer of the military unit 811. He died heriocally in the battle for the province Gulebirt of Lachin on May 25 1992. He was buried in Beylegan region. 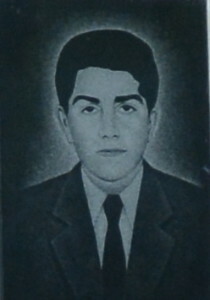 Ramzi Asgerov was the fifth year student when rose to the top of martyrdom. Rajabov Shamil Kamil oghlu was born on October 4 1970 in Aghdam. 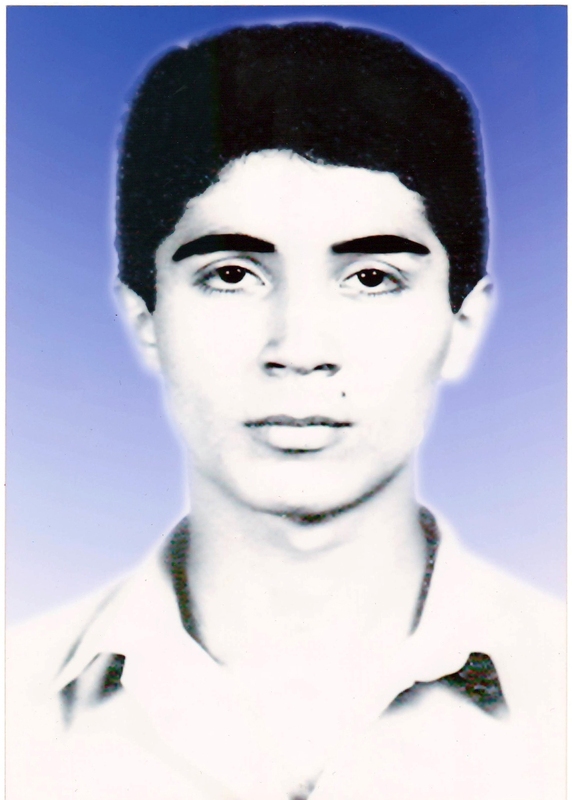 He studied in the secondary school 5 of Aghdam within 1977-1988. After completing school with honors he served in the military service in Khabarovsk. He entered the Azerbaijan Institute of National Economy named after D.Bunyadzade (current UNEC) after the military service. Being a part-time student he worked in Baki oil processing plant. He left education unfinished when Agdam city was occupied by Armenian aggressors and went to was voluntarily. He was killed in the bloody battles in the province of Gervend of Aghdam on April 18 1994. Shamil Rajabov was buried in II Alley of Martyrs in Baku. Rasulov Ali Hidayat oghlu was born on January 7 1972 in Bilasuvar region. Ali who was the fourth of the six children family completed the secondary school 3 of Bilasuvar region in 1989. Within 1990-1992 he served in the army. He entered the School of Accounting of Azerbaijan Institute of the National Economy (current UNEC) named after D.Bunyadzade in 1993. Ali was majoring part-time in Control of Accounting and Analysis of the Economic Activity when he left his eduication and went to Garabag voluntarily. He participated in the battles happened in fierce parts of war within three months. 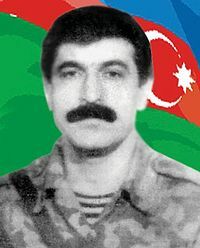 A.Rasulov was killed on January 12 1994 heroically in the battles for Fizuli region. Aslan Sardar oghlu Shirinov was born on September 14, in 1974 in the village Maisery of Shamakhi region. A.Shirinov, who studied at the secondary school with the excellent marks, was sent to the international pioneer camp as a winner, the poems and articles he had written were published in different newspapers of the country. He graduated the secondary school in Meysari village in 1991 with the excellent marks. In 1992, Aslan Şhrinov entered the faculty of Commerce of the Azerbaijan National Economic Institute named after Dadash Bunyadzadeh (at present UNEC). While studying in the I-st course he intermitted his education and went to the front as a volunteer. A.Shirinov, wounded in the bloody battles on the territory of Aghdere region, as soon as he got better he returned to the forefront again. A.Shrinov, in the battles in the direction of Goranboy, Tartar və Aghdere approved himself as a firm, brave and strong soldier. On February 16, 1993, Aslan Shirinov was martyred heroically in the fierce battles in Aghdere region. The secondary comprehensive school, he had got the education, in Maisery village of Shamakhi region is named after Aslan Shirinov. Tural Sabir oghlu Dadashov was born on August 24 1993 in Baku. He studied at the secondary school 210 of Nizami district. He was enrolled at UNEC with 472 points in 2011. He graduated from the Faculty of Commerce of UNEC in 2015 and went to serve in the army. Two months before the end of his service Tural was killed in the fights of Tartar region. The martyr’s body was found on April 8 on the battlefield. Brought to Baku, April 9 and was buri. Gurbanov Elchin Cherkez oghlu was born on August 6 1968. He completed the secondary school 160 in 1985 and entered the Faculty of Physics of Baku State University. In 1987 he went to serve in the army. He completed the service in Hungary in 1989. Elchin decided to change his major after the service. He left the first higher education incomplete and entered Azerbaijan Institute of National Economy named after D.Bunyadzade (current UNEC). In addition to his studies in the evening department of the Faculty of Finance and Credit, he started labor activity in bank. Elchin distinguished with his special knowledge and abilities was promoted up to the Deputy Chairman of one of the commercial banks in a short period of time. He voluntarily went to front leaving his study and career incomplete when he was the fifth course student in 1993; participated in the battles in Aghdam. Elchin was killed on January 7 1994 in the battles for Beytepe province of Fizuli region. He was buried in the Alley of Martyrs in Baku. 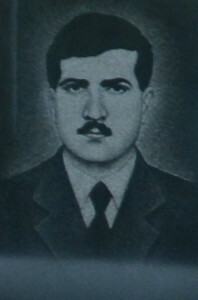 Sultanov Ilyas Mehrali oghlu was born on March 18 1957 in Fizuli region. Ilyas was engaged in classic type of wrestling from the childhood. He became a champion of region and republic for several times. He completed the Fizuli region secondary school named after Khurshidbanu Natavan in 1974 and entered Azerbaijan Institute of National Economy named after D.Bunyadzade (current UNEC). In 1976 he served in the army in Vladimir province of Moscow. 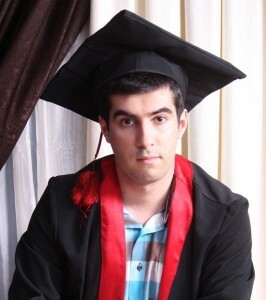 He started the labor activity in Fizuli region after the graduation. After a while he became a Chairman of the Trade Union on Commerce of Fizuli region. 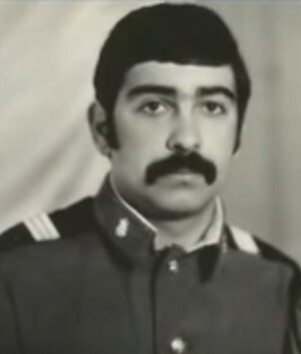 Ilyas was one of the first volunteers of self-defense battalion set up in Fizuli region after the commencement of the territorial claims of Armenia against Azerbaijan. He was appointed a platoon commander of the battalion. He heroically participated in the battles happened in Hoga, Gachar, Govshadli and Yukhari Veyselli provinces of Fizuli region. Ilyas was killed in the battles for Yukhari Veyselli village of Fizuli on August 15 1992. The martyr was buried in the Martyrs’ Alley of Fizuli region. The secondary school of Yukhari Veyselli province of Fizuli was named after him.